Your car's exhaust pipe serves a number of purposes, but it needs to be in good condition and working well for you to get the best fuel economy possible and reduce the CO2 emissions produced by your car. 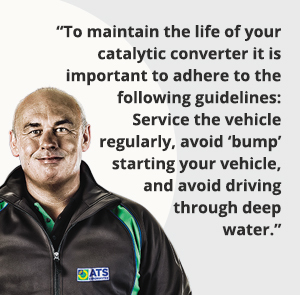 When you bring your car to ATS Euromaster we can advise on and then carry out any repair or replacement needed to keep your car running at its peak. We carry out a free visual exhaust check as part of our vehicle health check, which checks the exhaust, catalytic converter and mountings for physical damage, leaking joints and corrosion. Exhaust systems are prone to damage from plenty of different sources, whether they come from external knocks and bumps or from corrosion caused by the age of the vehicle. For that reason it’s recommended to check your exhaust pipe for physical damage at least once every 10,000 miles, or once a year- whichever comes around first. Damage to exhaust systems can not only make running a car more uncomfortable from additional noise, smoke or worse fuel consumption, but it may make your car’s noise levels and CO2 emissions higher than the legal requirements. This could potentially be cause for an MOT test failure, as the car will not be deemed legal for road use. 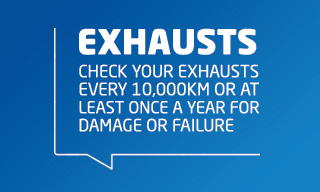 Sometimes you will be able to spot visual damage to the exhaust, giving you a clear idea of any work required, however as the exhaust pipe travels across the entire length of the underside of your car, it can be difficult to know for certain without your car being placed on a hydraulic lift, as found in our centres nationwide. Physical external damage to the exhaust is the single most common reason that an exhaust needs repair or replacement, although for older cars rust can also be a cause for concern. Knocks and bumps can damage the exhaust, sometimes these come from a speed bump or from backing on to a high curb. 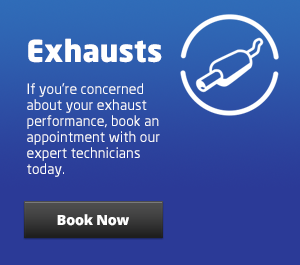 Exhaust checks are part of our free vehicle health check, so if you're in any doubt about your exhaust system's condition, visit us in-centre and our technicians will be happy to offer their professional, unbiased opinion. All our exhausts, pipes and catalytic converters come with a manufacturer's guarantee of 2 years or 20,000 miles.